Purchase your passes for at AMFM Fest. 10PM Gary Farmer and the Troublemakers @ Flagstaff Brewing Co.
AMFM Fest is more than just a Music Festival or a Film Festival. AMFM Fest is an opportunity to create memories, friendships, and appreciate the best parts of our humanity. What are you doing to grow this year? Visit AMFM Fest to grow, experience beauty, and appreciate life. Attending a festival is more than just standing in line and watching a few films. 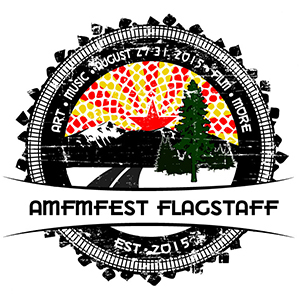 You can make AMFM Fest your festival and we can help you plan it. Buy your pass now and get the AMFM Fest experience you want. A festival pass or individual tickets, either way you can construct your AMFM Fest to be the unique and special experience you want. Make your AMFM Fest yours today. Get started now. We are lucky to partner with some incredible venues. Check out the list of venues we will be using for art openings, music performances, film screenings, and much much more. See more. At AMFM Fest, we bridge Art, Music, Film, and More so our audience can feel, learn, grow, and expand. We proudly offer a variety of workshops to help you grow as an artist or supporter of the arts. Someday isn’t on the calendar. The first step to making your AMFM Fest yours is investing in your passes. Get access to all the art, music, films, and more with a festival pass, or pick and choose your experience with individual passes. Give Me My Pass Now!